About the Author – Nicole has had a lifelong passion for the written word. As a child, one of her most treasured Christmas gifts was an electric typewriter, which enabled her to crank out her stories even more quickly than she could with a pen. Naturally, the personal computer is one of her favorite inventions. When she isn’t writing, Nicole can usually be found curled up in a chair, whiling away the hours with a good book.One of Nicole’s other great passions is travel, and she has visited Europe, as well as traveling to many of the fifty states. Her favorite trips include visits to Paris, Maui, and various parts of Belgium. She feels fortunate that she is married to a native Belgian, as it gives her plenty of reasons to visit Europe as often as possible. Also, it gives her an excuse to eat Belgian waffles regularly.Born and raised in Michigan, Nicole lives there still with her husband and two beautiful children. She thinks Michigan is the greatest state in the country, and Michigan State University is the greatest university in the world. 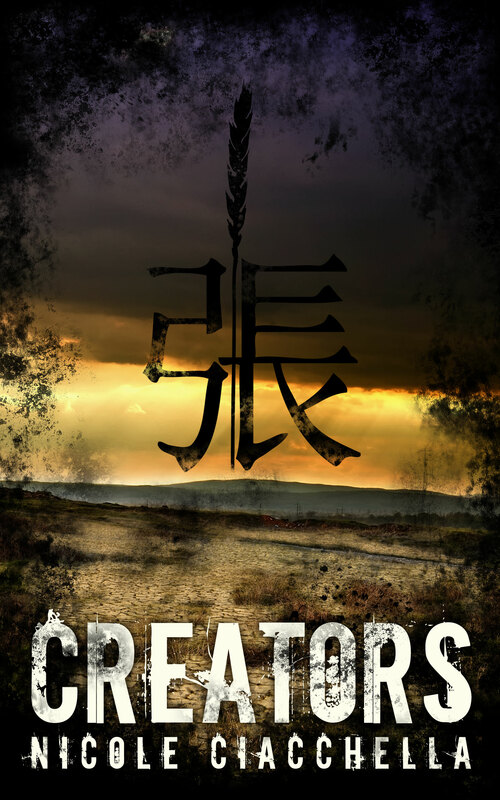 Creators is a novella, the prequel to the forthcoming Contributor trilogy. If you could meet one person who has died who would you choose? I would choose Jane Austen, without a doubt. I not only love her books, I also think a meeting with her would make for fascinating conversation—she was so insightful and so slyly funny. Please tell us in one sentence only, why we should read your book. It’s important for everyone to think about and discuss what the future might look like, and to decide how we would like it to look. When you were little, what did you want to be when you “grew up”? I have always wanted to be a writer. I thought about becoming a journalist, but my real passion has always been for creating my own worlds. I can’t express how thrilled I am that indie publishing has made it possible for writers to control their own careers. If you could jump inside the pages of a book and live in that world, which would it be? It would definitely be the world of Harry Potter. Truth be told, I’m a wimp and wouldn’t so much like the part about fighting Death Eaters, but I would love to go to a magical boarding school where I could learn how to cast spells. What’s the craziest writing idea you’ve had? Honestly, I felt like my idea for Contributor was the craziest idea I’ve ever had. While I have tried to write in many genres, I never thought I could pull off a dystopia. Contributor was meant to be a NaNoWriMo challenge, but the more I wrote, the more I thought, “You know, maybe I can actually pull this off.” I hope I was right! This entry was posted in Saturday Author Spotlight, Weekly memes and tagged author bio, biography, contributor, indie author spotlight, nicole ciacchella, saturday feature, synopsis, weekly meme, YA. Bookmark the permalink.